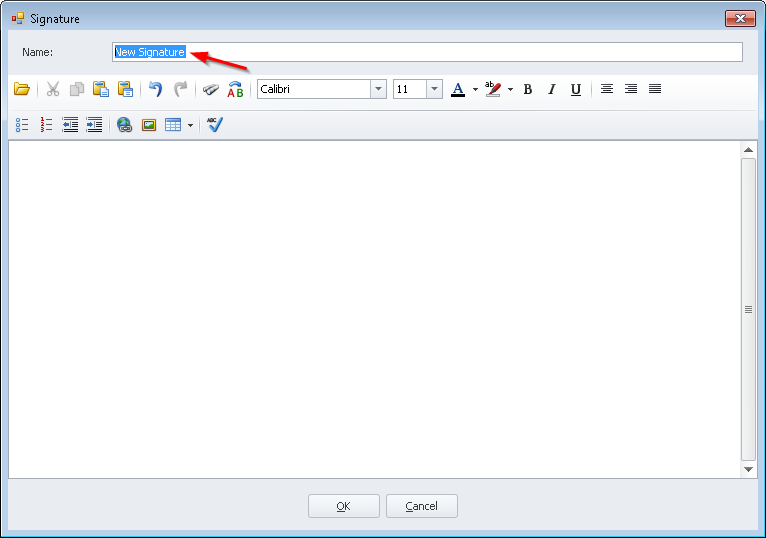 Give your signature a name such as "Default" or "Reply"
Enter or paste your signature in the editor below and click 'OK'. 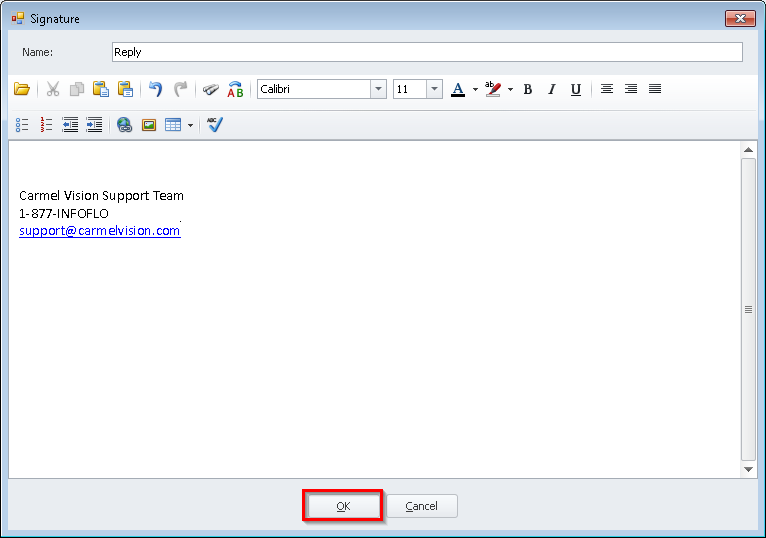 Click 'OK to save your changes and close the email configuration window. 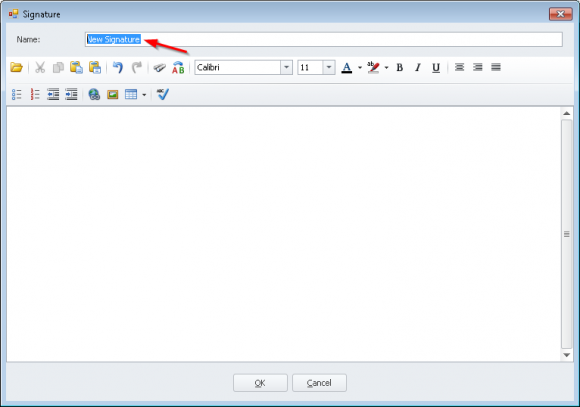 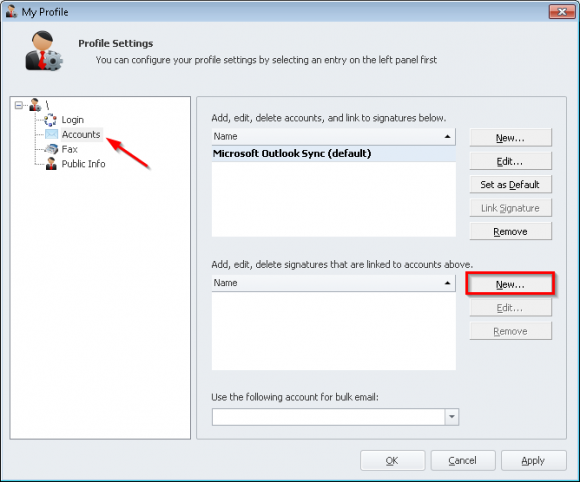 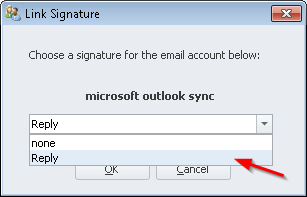 To add a signature while using the Microsoft Outlook email editor, click the signature button within your new email and add the signature of your choice.